With the recent burst of enthusiasm for the iPad it suddenly occurred to me that I'd seen it all before. Just seems remarkably similar to the PADD - Personal Access Display Device that I'd seen in the mid 1990's (or more accurately that hails from the year 2374) as seen on Star Trek: Deep Space Nine. Different versions of the PADD were available depending on your species, Klingon and Cardassian, for example, often being more angular than the Federation ones, and consisted of a large touchscreen area for entering or reading data. How long will it be before we see the Apple iTransporter and iReplicator ? creates parts for airplanes — not food and drink — and uses an environmentally-friendly construction process to manufacture layered metal objects. This technique could revolutionize the aviation industry and may have applications for the future spacecraft and the medical community as well. It can be used to make small, detailed parts or large structural pieces of airplanes. As it happens, I noted an (old) article in the UK Newspaper - The Independent - which describes potentially the first breakthrough using the revolutionary technology of Quantum Teleportation. Just wave your hand to access music, web, your family and friends on the Gesture Cube. The Gesture Cube uses 3D spacial movement tracking using underlying GestIC® technology to detect the approach and movement of your hand. GestIC® electric field sensing technology makes 3D spatial hand or finger movement tracking possible. GestIC® detects movements and distances in 3D space and provides the technical backbone for Gesture Cube's 3D user interface. Gesture Cube is a joint development by three partnering companies: IDENT Technology AG delivered the underlying touch-free GestIC® technology used in Gesture Cube. 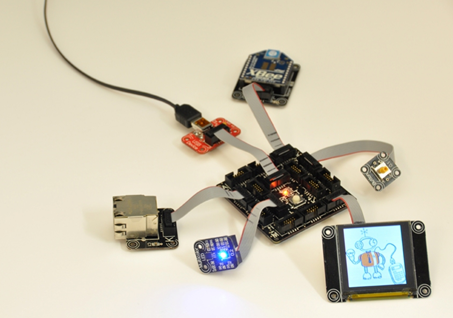 User interface studio ZINOSIGN® designed Gesture Cube’s user interface and website. Design company LUNAR Europe created the overall product design. 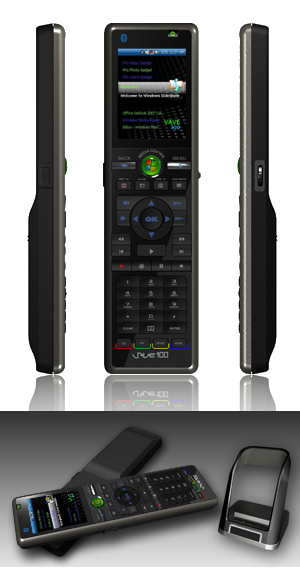 SHOW WX is the codename for a full colour laser based pico projector from Microvision, which is likely to be launched under another brand name. WX stands for Wide Experience which refers to the wide image format, wide colour range and wide, always-in-focus operation. A pre-production model was shown at the recent Macworld Conference and Expo 2009 and CES 2009. All specifications are 'targets' and subject to change in the final production version, the resolution is aimed to be 848 x 480. 'SHOW WX is a major milestone on the transition path to product launch of our first PicoP enabled consumer product later in 2009,' said Alexander Tokman, President and CEO of Microvision. Have you ever dreamed of moving an object with the power of your mind ? 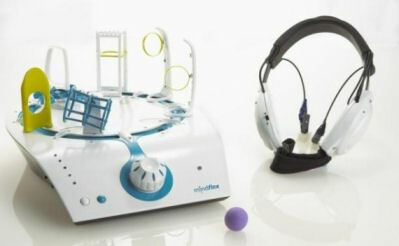 Mindflex, one of the products shown on their booth at CES 2009, claims to make that dream a reality. A lightweight headset containing sensors for the forehead and earlobes measures your brainwave activity. When you focus your concentration, a small foam ball will rise on a gentle stream of air. Relax your thoughts and the ball will descend. By using a combination of physical and mental coordination, you must then guide the ball through a customizable obstacle course - the various obstacles can be repositioned into many different configurations. MindflexTM combines advanced technology with the power of thought to create an interactive experience unlike any other - a game where players compete in the ultimate mental marathon! I wonder if it comes with an application developers kit? In another report they announced a transformation of their online strategy to create the Mattel Digital Network, a portal providing access to their powerhouse brands and a central point of access. Discern the age of a child and provide a different experience depending on gender, interests, and level of active participation. Be a kid-safe environment with content that is screened, approved and appropriate for children at each age. Provide tools to harness the creativity of brand fans to make it not just a place to consume content, but also to provide content. Deliver on being a site 'for the kid in all of us' - from ensuring our channels will support the personality of each to providing a shopping solution for gift givers. 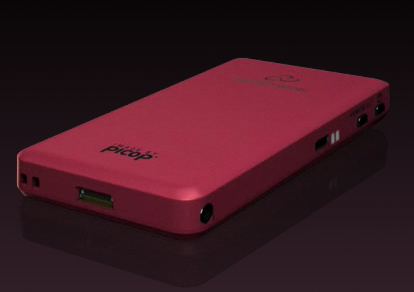 WowWee is showing a number of different Pico projector models at this years CES 2009. The models on display include the Cinemin Swivel - offering 3 hours of battery life and a resolution of 480 x 360 and can be bent in the middle to provide ceiling projection. 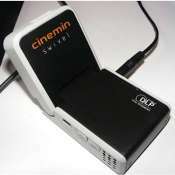 The Cinemin Stick incorporates an SD card slot and provides a resolution of 800×480 as does the Cinemin Station which incorporates an iPod Docking Station. Other manufacturers devices in this category include: the BUG Labs BUGprojector DLP Projector and the Optoma Pico DLP Projector. Then why not try out this electronic version. 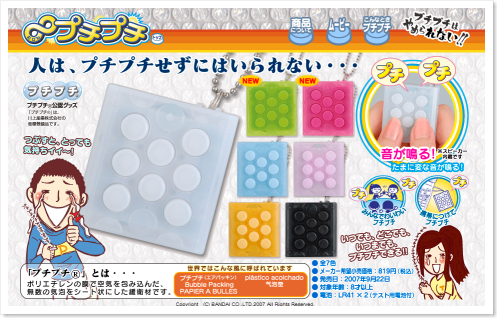 From Japanese toymaker Bandai, Puchi-Puchi (which is the Japanese for the sound of a little pop as well as for bubble-wrap) is a hand-held keyring attachment designed to simulate the look, feel and sound of popping bubblewrap. After every 100 "pops" it will make a different sound such as a barking dog or door chime. Available from a number of suppliers, I noticed it's priced from around $15.